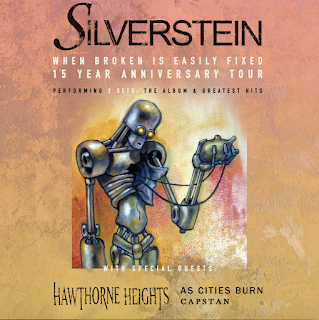 Silverstein will embark on a North American tour this fall but this is no ordinary trek. The band will be celebrating the 15th anniversary of its landmark debut album "When Broken Is Easily Fixed". 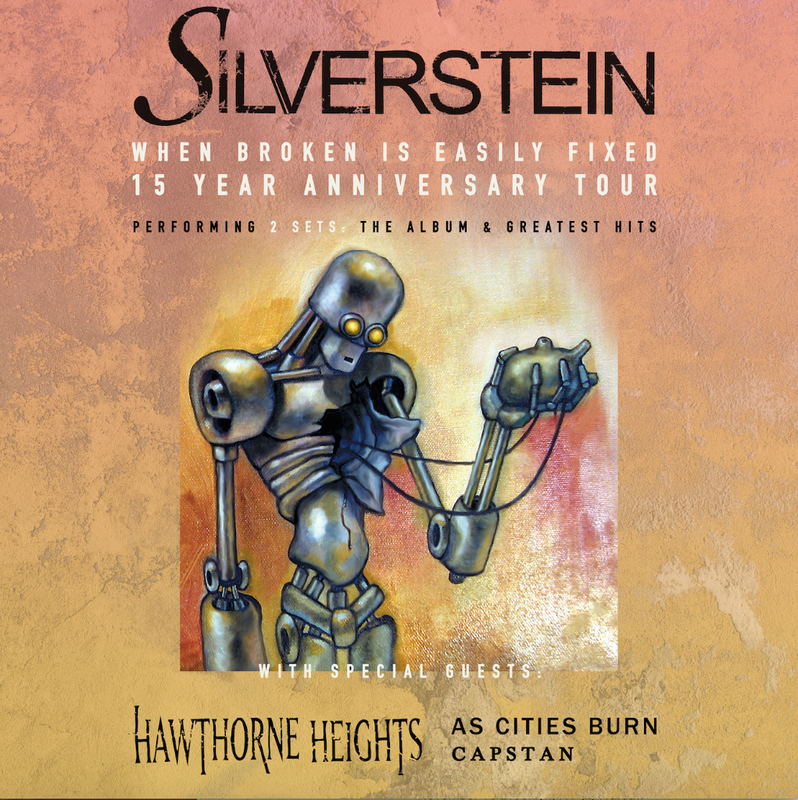 Silverstein will also perform two sets on this run. One set will feature the band performing When Broken Is Easily Fixed in full, followed by a second set of "greatest hits." Special guests are Hawthorne Heights, As Cities Burn, and Capstan. The tour kicks off on November 9 in Detroit and runs through December 15 in Toronto in the band's native Ontario. The tour dates are below.